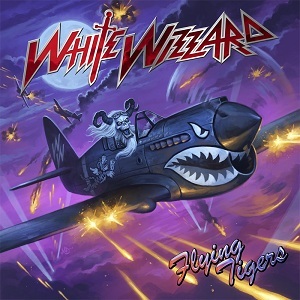 White Wizzard are a band who have suffered from too many lineup changes, and this album shows no sign of changing things. Former vocalist Wyatt Anderson rejoined the band and recorded the vocals on "Flying Tigers" but since recording the album he's already been replaced. Musically if you havent listened to White Wizzard before, they're definitely influenced by classic metal bands - Iron Maiden most notably, but NWOBHM bands in general (even though White Wizzard are American not British). The whole album is strong with no tracks looking like filler. Top tracks for me are probably "Night train to Tokyo", "Fight to the death" and "blood on the pyramids", although it is hard to pick just a couple of tracks from an album thats consistently good. A great album with some great vocals from Wyatt Anderson including some high notes that lesser vocalists might struggle with. Hopefully the band will one day find a stable lineup and show us what they're really capable of when they can concentrate solely on the music and not be dstracted by all the lineup changes. A good solid album that will appeal to NWOBHM fans in particular.